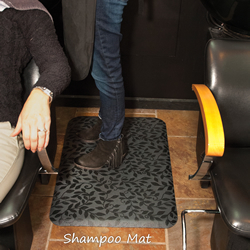 Salon Décor Mats are the total package! Tough as nails yet incredibly comfortable to stand on for prolonged periods, these mats are available in five stylish designs that will accent your décor, protect your floors and reduce strain on feet, knees and backs. 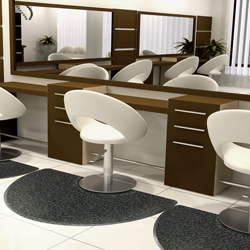 • Five surface designs in a fashionable Black/Grey color scheme that complements all decors. • Durable woven PVC top is stain and “high heel” resistant. 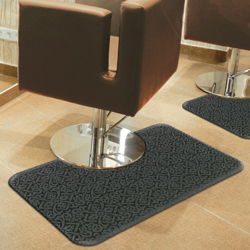 • Premium Nitrile rubber cushion extends all the way to the beveled edge maximizing the standing area. • The top surface of the mat is molded to the back cushion, not glued, so the top will not delaminate or come apart from the body. • Easy to clean. Hair trimmings sweep right off and stains can be removed with a mild surface cleaner and towel. 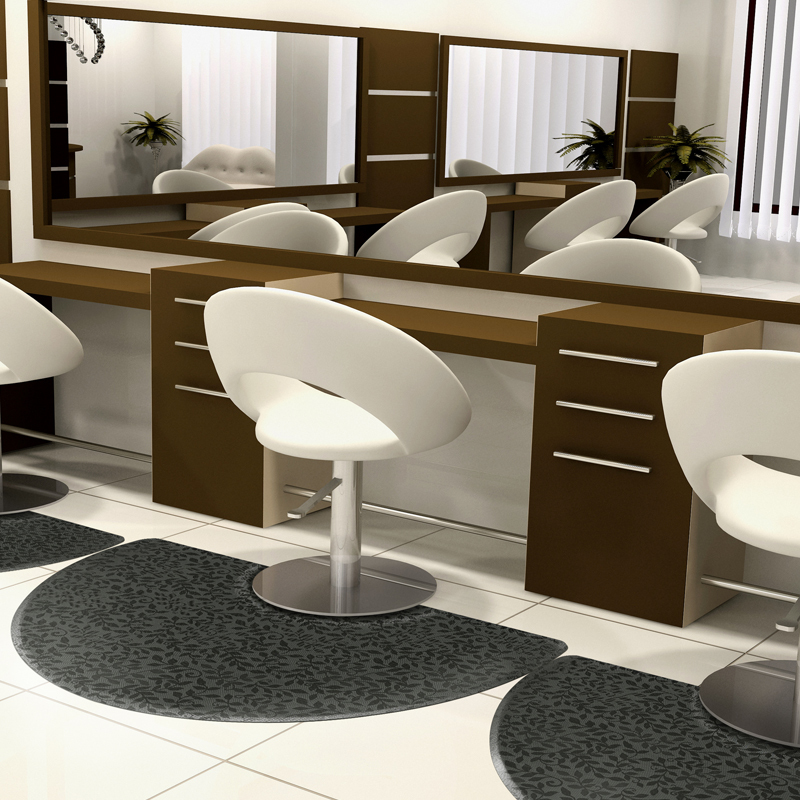 • Recommended for beauty salons and barber shops. • Shampoo mats do not come with a recessed groove for salon and barber chairs.